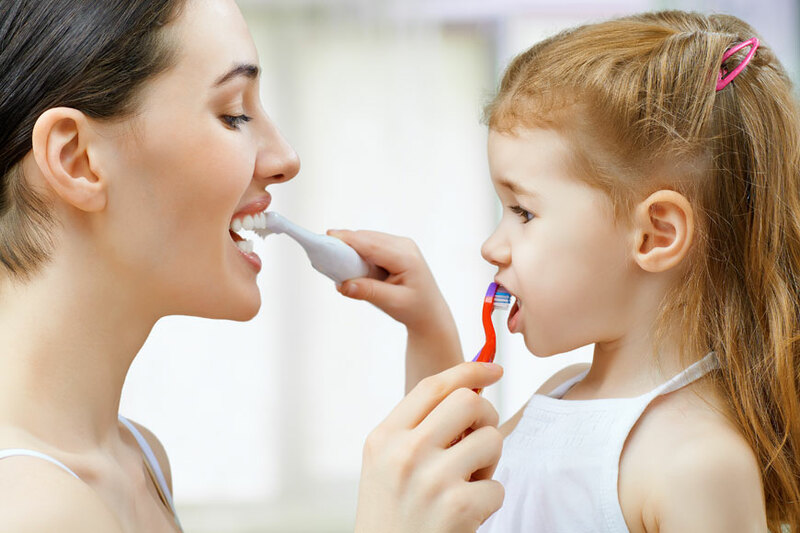 Is your child giving you such a hard time brushing his teeth? Well, power struggles are a normal daily part of life as a parent. It is reality though, 9 out of 10 moms complain that their little ones refuse to have their teeth brushed! However, this can only be temporary. Here are 7 dental and psychological tips for a more enjoyable, relaxed tooth brushing time. The number one secret ingredient is to have patience - that’s right- these days will soon be over. You are reading this right now, aren’t you? All you need is to survive this phase! Tough to imagine, especially when it is so draining of your efforts and time? The science behind it is: this patience and faith gives you an internal calm in face of the storm, funny enough, your toddler senses it too and gives up when its time! There is a choice that can be made, let them exercise the power of making a decision, and get your peace of mind in return. The more questions you ask them, the more they feel like they did run the show! Allow them to brush their teeth first, then ask them to brush your teeth. This “role reversal” allows them a sense of control since they are in the brusher position. Now it is your turn to brush their teeth. Of course you would have endured a good bang for your teeth, but totally worth it. “Pretend” to be enjoying yourself with your brush in the bathroom and all you need is a big wide smile. It is only a matter of minutes before your child wants in on this pleasurable activity. Children at this age love to model and imitate, let’s use it to our favor. Who said brushing can’t be fun? Find opportunities to say yes more often during the day. The more they hear “NO” the more they discover and exercise its power too! We don’t want that, do we? “I like it when we spend time together having fun counting your teeth”, “I like it when you sit still and open your mouth wide”, “I like it when you earn rewards for such a good job”. Unfortunately, children find the “don’t” command confusing which is why it gets us poor results and it just does not work! Keep in mind that using these tactics involves a lot of patience, even more consistency and just that-practice! My advice is to use them all at once and play full out!